New Rochelle, NY: Arlington House, 1974. Book. Very Good. Hardcover. First Edition. 8vo - over 7¾" - 9¾" tall. 137pp, A highly conservative diatribe against liberal theology. Buy this book and get it off my shelf. No marks, tight binding..
NY: Galahad Books, 1993. Book. Very Good+. Hardcover. Folio - over 12" - 15" tall. 358pp, New York Times front page reproductions from important dates between 1920 and 1993. Intact dustjacket. No marks or tears..
NY: Grossett & Dunlap, 1973. Ex-Library. Illus. by Maggie Lane. Very Good. Large cloth hardcover without dustjacket, ex-library copy with card packet and donation label partially removed, two tape marks on front and rear covers. Over 350 diagrams accompanied by photographs of worked samples. Over 150 photographs of historical sources and worked samples, plus 25 full-color photographs of on-process and completed works of needlepoint. Patterns taken from medieval mosaics, Islamic textiles, carpets, illuminated manuscripts, etc. Condition: Very Good. Crafts. $95.00. Castle Books, 1980. Book. Very Good. Hardcover. 8vo - over 7¾" - 9¾" tall. 476pp, illustrated. Selections from 25 of Cooper's novels. A few spots on fore edge. Very Good. Phoenix, AZ: Armour Pharmaceutical, 1979. Book. Very Good. Soft cover. 105 pages, illustrated. Contains medical articles by several different doctors on metabolic bone disease, Neurologic aspects, diagnosis by bone scan, calcitonin in treatment, resistance to calcitonin, more..
NY: Ivan Obolensky, 1961. Book. Very Good. Cloth. First Printing. 8vo - over 7¾" - 9¾" tall. 320pp. A novel of Jezebel of Tyre. Red cloth. Very Good. Painters & Personality. A collector's view of modern art. NY: Harper, 1937. Book. Very Good+. Hardcover. Signed and Inscribed By Author. Stated First Edition. Stated First Edition, signed and inscribed by Lewisohn on the front free end-paper, hardcover without dustjacket as issued. Light shelf wear on cover and spine. Condition: Very Good+. Art..
Washington DC: Smithsonian Institution, 1967. Book. Very Good+. Paper Cover. 2nd Edition. 8vo - over 7¾" - 9¾" tall. 153pp, illustrated with 30 monochrome plates. Publication 3905 (Rev.) Freer Gallery of Art, Occasional Papers, Vol. 1, Number 2. In rose-colored paper wraps. Flyer of the Freer Gallery of Art laid in. Very Good-. NY: Harper & Row, 1974. Book. Very Good-. Cloth. First Edition. 8vo - over 7¾" - 9¾" tall. 326pp, illustrated with b&w photos. A Fascinating behind-the-scenes account of the Nixon Administration and the men who ran it and the country before Watergate brought them down. Black cloth. Clean and tight. Very Good-. NY: Atheneum, 1986. Book. Very Good. Hardcover. First Edition. 299pp, illustrated. The author is the nephew of Prince Rainier of Monaco. Very Good. London, UK: The Royan Collection Book. Near Fine. Stapeled Paper Cover. 4to - over 9¾" - 12" tall. 32pp, Softcover. Bright and clean with no marks or tears. A very nice copy. A guidebook to the Queen's residence in Scotland..
Anderson, IN: Warner Press, 1937. Book. Very Good. Cloth. Second Printing. 173pp, illustrated with b&w photos. A source book for Christian inspiration about the Holy Land. Former owner's name stamped on front free-endpaper. Some light pencil marks, no underlining. Very Good. NY: Alfred A. Knopf, 1963. Book. Very Good+. Cloth. First Edition. 8vo - over 7¾" - 9¾" tall. 45200, Illustrated with black & white photos and line drawings. History of earlies Palestine. Two toned cloth. Half of the rear cover has a water stain, but this has not penetrated to the inside of the cover nor has it affected the text. No other marks, no tears..
Sebastopol, CA: O'Reilly, 1999. Book. Very Good. Large Softcover. Second Edition. 8vo - over 7¾" - 9¾" tall. 597pp. 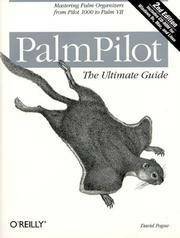 Tips, tricks, and secrets of the Palm Pilot. The CD is not present. Very Good. NY: Vintage, 1971. Book. Good-. Paperback. 12mo - over 6¾" - 7¾" tall. 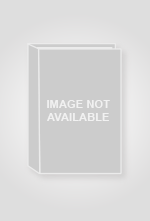 404pp, edited by Holly Stevens. With an index of first lines. Arranged in probably order of composition. Covers and page margins somewhat darkened. No marks or tears. No loose pages..
Athens, GA: 1932 Senior Class, University of Georgia, 1932. Book. Very Good+. Hardcover. 4to - over 9¾" - 12" tall. Years book of the University of Georgia, Athens, Georgia, 1932. No autographs or signatures. Name of former owner (a graduate) is printed in pencil on the front free endpaper. The first blank flyleaf is creased at the top corner. No marks or tears. A nice copy..
NY: Charles Scribner's, 1968. Book. Very Good+. Cloth. 8vo - over 7¾" - 9¾" tall. 222pp. An anthology edited by Kilchenmann. Graded German readings for the 2nd year college level. Vocabulary,marginal helps, exercises. Red cloth. Clean text. Very Good+. Homerville, GA, 1957. Book. Very Good. Hardcover. 4to - over 9¾ - 12" tall. High School Yearbook, 1957, Homerville, Clinch County, Georgia. No marks or signatures. Plastic covers. Several papers laid in. No tears. 56 pages..
Homerville, GA, 1957. Book. Good. Hardcover. 4to - over 9¾ - 12" tall. High School Yearbook, 1957, Homerville, Clinch County, Georgia. No marks or signatures. Plastic covers. No tears. Several pages crinkled. 56 pages..
Homerville, GA, 1956. Book. Good. Hardcover. 4to - over 9¾ - 12" tall. High School Yearbook, 1956, Homerville, Clinch County, Georgia. Many signatures and inscriptions. Burgundy plastic covers. No tears. 54 pages..